NantWorks is a biotech firm located in Culver City, California. Their construction company, Del Amo Construction, reached out to us for ADA signage that was needed at NantWorks. Del Amo Construction in Torrance has been around since 1968 and has completed thousands of projects that include offices, mixed-use, multi-family, student housing, K-12 and higher education, hospitality, sports & leisure, institutional, science & technology, entertainment, and industrial projects. We have assisted Del Amo with many signs for their new construction projects and were more than happy to assist them with NantWork’s signage. We have many regular clients that are construction companies or contractors because we have expertise in many different types of signs and can usually bid for the signs that their client needs. 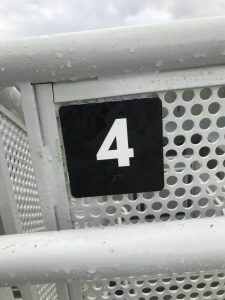 When it comes to construction companies, we are constantly bidding ADA sign projects because all new construction of a public facility requires ADA signs. For those who do not know, ADA signs are signs required by the Americans with Disabilities Act of 1990. 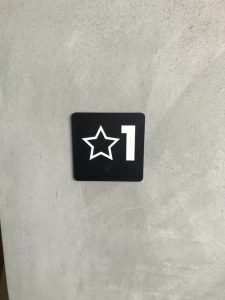 They have very specific criteria which is why contractors and construction companies trust professional businesses with ADA sign experience to make sure that the signs are up to code. 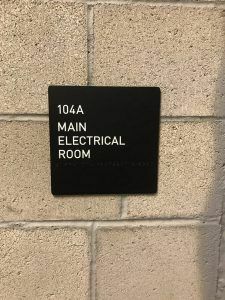 There is always new construction happening in Los Angeles, and regardless of whether it’s a new office building or a school, they’re going to need exterior and interior signs. Exterior signs are necessary for wayfinding, building identification, parking signs, and much more. 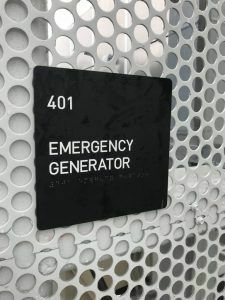 And when it comes to interior signs, ADA signs like room identification signs, evacuation maps, and exit signs are a must. Are you looking for a sign company to handle your ADA sign needs for you or your client’s building? Give us a call today to get started on your custom ADA signs. We have the knowledge to manufacture ADA signs that are up to code that will look great with the building’s interior.